Steven Universe – Premiering 16th February 2014 On Cartoon Network, Will Air Every Sunday at 10:30 A.M. Steven Universe is the latest original animated comedy series from Cartoon Network Studios. Steven Universe is about the misadventures of a boy named Steven, the ultimate “little brother” to a team of magical guardians of humanity—the Crystal Gems. Steven may not be as powerful as the Crystal Gems or as savvy. But that doesn’t stop him from joining his sisters – Garnet, Amethyst and Pearl on their magical adventures and somehow finding a way to save the day! It is created by Emmy® and Annie Award-nominated writer and storyboard artist Rebecca Sugar. 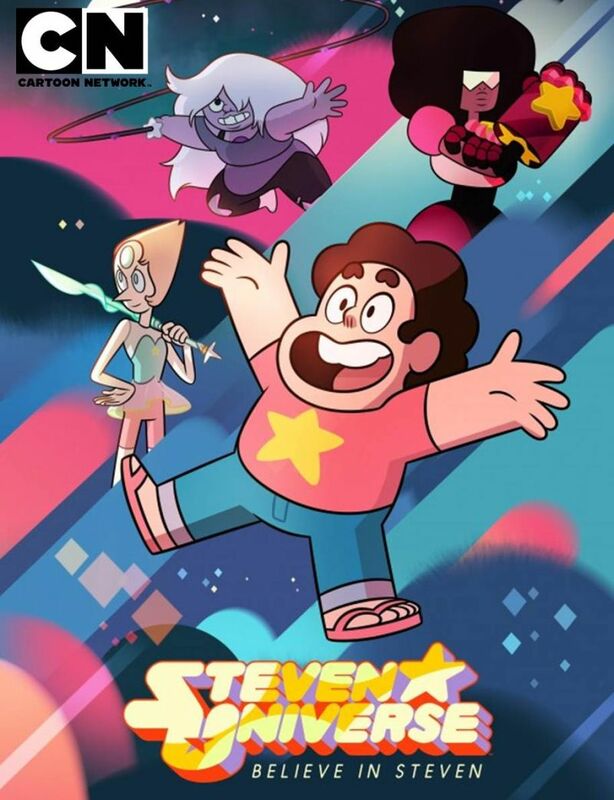 Steven Universe premieres on February 16, 2014 and will air every Sunday at 10:30am on Cartoon Network.
. Steven Universe is created by Emmy® and Annie Award-nominated writer and storyboard artist Rebecca Sugar (Adventure Time).